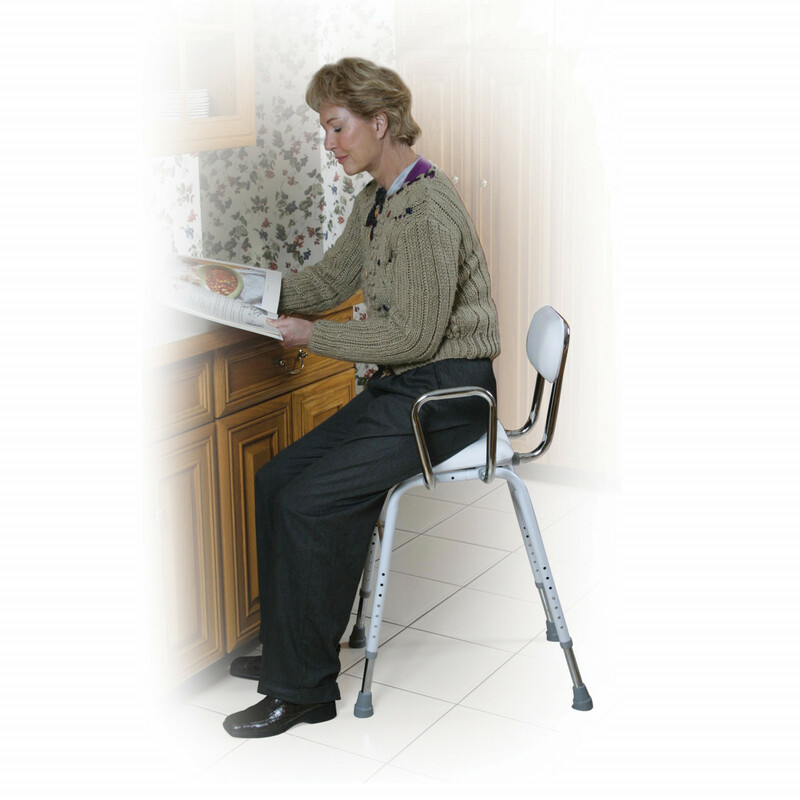 The Drive Medical All-Purpose Kitchen Stool with Adjustable Arms features a comfortable padded seat and backrest. The seat of the Drive Medical 12455 Adjustable Stool is angled, which makes sitting down and getting up easy for individuals with limited mobility. It is constructed with durable, white powder-coated steel that gives it a stylish finished look. 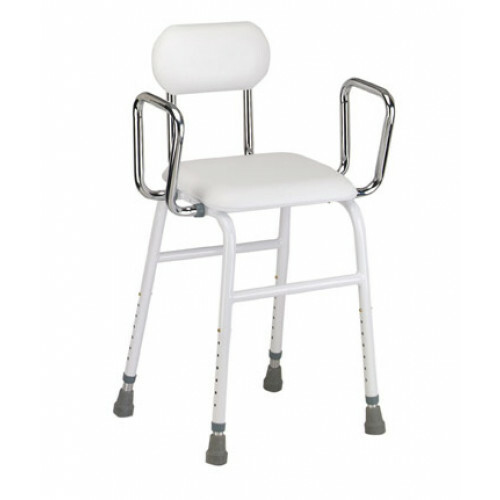 It features chrome-plated steel legs and removable arms that provide support and comfort. It is user-friendly to assemble and height/width adjustable to accommodate most individuals for comfortable-everyday use. This stool is ideal for kitchen use, but you may also be interested in some of our shower stools for additional comfort while bathing or showering. Seat Height	21" - 27"
Carton Shipping Weight	15.5 lbs. What is the weight capacity and the height for this kitchen stool? When shopping for a kitchen chair it was critical to locate one that remained in a set position to keep me from falling. Achieved! This stool is exactly what I need to be able to reach things on my counter. It's very well made, and the padded seat makes it very comfortable.